What is the Difference Between the iPad Pro and the Air? Confused about the choices between the iPad Air tablets and the iPad Pro? Join the crowd. Apple threw customers a bit of a curve ball when it followed up its 12.9-inch iPad Pro with a 9.7-inch version. 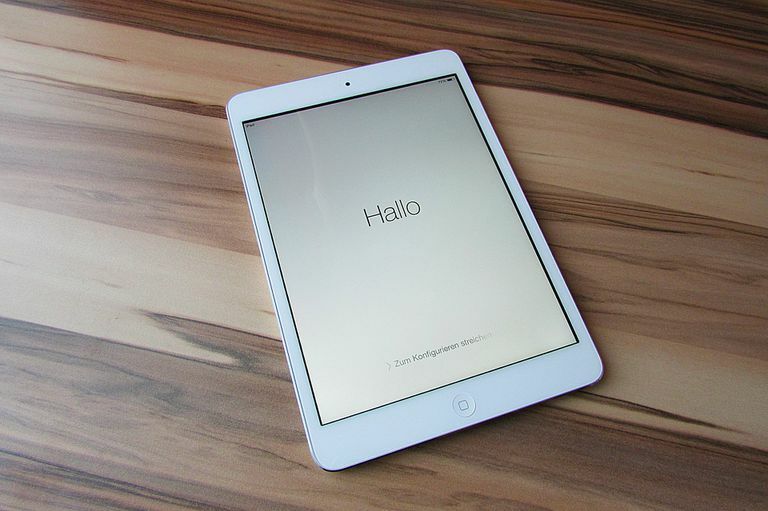 Previous to the smaller Pro, the iPad lineup was divided into categories based on the physical size of the iPad, with the 7.9-inch iPad designated as "Mini", the 9.7-inch re-branded as "Air" after the introduction of the Mini, and the new 12.9-inch receiving the "Pro" nomenclature. Three sizes, three names, not too hard to understand. This is where the iPad Air-sized "iPad Pro" becomes a little confusing. Make no mistake about it, the new 9.7-inch iPad Pro is definitely a "Pro" tablet. While not quite as fast as the 12.9-inch version, it is close enough that most people won't know the difference. But what makes an iPad a "Pro"? The iPad Pro is fast. PC fast. It is built from the ground up to multitask, which is an ideal way to use the extra screen space on the 12.9-inch version. It also has a graphics processor that is about on par with the XBOX 360, which isn't bad on a tablet. But is that what sets it apart from the iPad Air 2? It's a big reason, but not the only reason. The 12.9-inch iPad Pro also debuted with the Smart Keyboard, which communicates with the Pro through a special new connector that also provides power to the keyboard, so no running out of batteries. The Apple Pencil also debuted alongside the Pro. The Pencil is a special stylus that interacts with the screen to provide more precision. The 9.7-inch iPad Pro received its own Smart Keyboard and also works with the Apple Pencil. This helps pinpoint the central theme of the iPad Pro: content creation. It is an iPad that is meant for business as much as play. It's the iPad that you set on your desk, type into with a real keyboard, manipulate the text with a virtual touchpad and draw on with a Pencil. And then, of course, you detach it, head for the couch and enjoy the sound of a movie coming through those four speakers. Yes, we said four speakers. This may not be a Pro-level feature, but it is certainly a major improvement over the Air and the Mini. The iPad adjusts the sound based on how you are holding it, so no more accidentally muffling the sound because of how you are holding the iPad. And the sound itself is much fuller than the tiny sound coming out of the iPad Air and iPad Mini. It may have the "Pro" name, but while the 12.9-inch iPad Pro is clearly aimed at the enterprise, the 9.7-inch Pro is the future of the iPad. It not only retains the 9.7-inch form factor, which is large enough to comfortably multitask and small enough to be very portable, it actually exceeds the bigger Pro in many areas. For example, the 9.7-inch Pro includes a 12 MP back-facing camera capable of shooting 4K video. Its bigger brother is limited to an 8 MP iSight camera. Even the front-facing camera is improved, going from a 720p "HD" camera to a full 5 MP camera capable of using the screen as a "Retina Flash". So, basically, it takes better selfies. Why does a "Pro" iPad need to take better selfies? Good question. And the only logical answer is that the 9.7-inch iPad Pro is the future of the iPad Air. We're not saying Apple won't ever come out with another Air-branded iPad. It might make sense for Apple to create an entry-level lineup of "Air" tablets for those not quite ready to shell out $600 for a tablet. But while it is clear the 12.9-inch iPad Pro was aimed at the enterprise, it is just as clear that the 9.7-inch Pro had one eye on the rest of us. The 9.7-inch iPad Pro adds a True Tone display, which changes the color of the screen based on ambient light, support for Live Photos with the aforementioned 12 MP camera, "Hey Siri" activation without the need to plug in your tablet, and a screen that is less reflective than the iPad Air 2's display, which is great if you plan to use it while out in the sun. The decision on an iPad may come down to price more than any other factor. The iPad Air 2 starts at $399, which is $200 cheaper than the entry-level iPad Pro. What do you get for that extra $200? Everything. Almost every feature on the 9.7-inch iPad Pro is improved from the iPad Air 2. This includes storage space, which rises from 16 GB to 32 GB in the entry-level models, the display, the speakers, the processing speed and the availability of the Smart Keyboard and the Apple Pencil. Pound for pound and dollar for dollar, the 9.7-inch iPad Pro is the best tablet in the world. But do you need those extras? The extra processing speed is great for multitasking but won't make streaming a movie on Netflix any smoother. (But those extra speakers will make that movie sound better!) And the Apple Pencil is great for artists, but a regular stylus is just fine for those of us that are more... (cough)... art-challenged. The Smart Keyboard? It's awesome if you want to spend $150 for a keyboard. If you want to buy a solid iPad without spending too much money, the iPad Air 2 is still a good tablet. It is going to be supported for years to come, and while it doesn't have some of the bells and whistles, you won't be disappointed. But if the idea of $600 or more doesn't scare you off, the iPad Pro lineup is the way to go. While the 9.7-inch iPad Pro improved in many areas, the 12.9-inch iPad Pro is the ultimate iPad. Once you get used to the bigger screen, anything else will be diminutive by comparison. And while the smaller Pro has four speakers, they don't sound as good or output the same volume as the bigger Pro. The Live Photos on the 9.7-inch are nice, but most of us take photos with our smartphone or those archaic devices called "cameras" that are designed specifically for taking photos and video. However, the 9.7-inch iPad Pro may take the lead for those who do a lot of travel. A bigger screen is great sitting on your desk or being your companion on the couch, but the smaller size is definitely better for using on a plane or packing into your luggage.